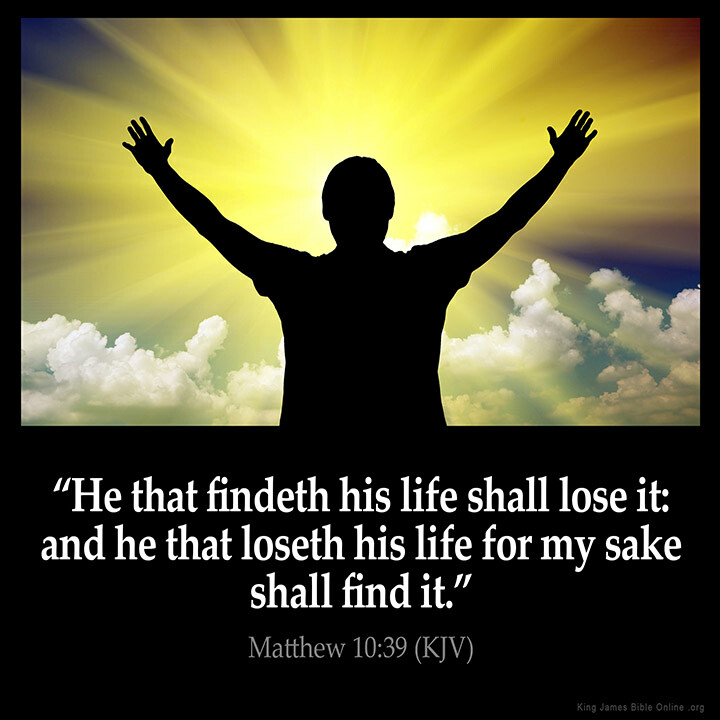 He that loses his life for My sake shall find it! "Three Tests to Walking in Governmental Authority"
• The test of jealousy. • The test of false accusation. • The test of being forgotten or ignored. God is raising up many people who will walk in great authority. He has an answer for the crises that are coming to the nations of the earth. Right now Josephs are being prepared in hiddenness. God gave the young Joseph dreams that revealed his future. On the surface this shouldn't have been a problem. But it was a problem. In the dreams Joseph had great authority; so great, in fact, that in them his parents and brothers would bow down to him. Joseph was young and foolish. He shared the dreams. Well, maybe "shared" is not the right word. He bragged, and his words were not empty. His mantle was discernible. His brothers were provoked to jealousy. They cooked up a scheme to feign his death, but actually they sold him into slavery. Jealousy led to betrayal. Joseph's attitude toward his brothers wasn't good, but his brothers' actions were indefensible—he was, after all, their brother. The power of choice was taken from Joseph. He became a slave owned by others. Jealousy can do the unthinkable. The brother’s actions made a strong statement: "We are not going to bow down to you, you are going to bow down to others." Joseph was taken to a foreign land and sold to Potiphar. Somehow Joseph overcame the betrayal of his brothers and served Potiphar well; so well, in fact, that he was put in charge of all that Potiphar had. It's not an easy thing to serve well when you have been emotionally torn apart. Joseph was handsome and caught the eye of Potiphar's wife. Maybe Joseph's attitude made him even more attractive, or maybe it was his character, or the way he carried himself, or the mantle. Whatever it was, Potiphar's wife desired him. She worked hard to seduce him. Joseph resisted. He feared God too much. Besides, he had worked hard to earn Potiphar's trust. Joseph had been betrayed by his brothers, he wasn't going to betray Potiphar. Most people consider that Joseph's resisting sexual temptation was the big test. It was a huge test for sure, and Potiphar's wife persisted day after day. In fact, it was a greater temptation than most realize. A free son, betrayed by his brothers, and sold as a slave. Joseph yearned to belong, to be held, to be embraced. The seduction became a set up for an even greater test. Joseph kept refusing. Potiphar's wife became more and more persistent. She grabbed his outer garment. Joseph fled from her grasp, leaving the garment behind. She accused Joseph of seducing her and Joseph was put in prison. The injustice of the accusation was beyond words. She seduced, he resisted. However, Joseph was imprisoned on the charge that he seduced, and she resisted. There was nothing Joseph could do to defend himself. Joseph stayed in prison a long time. He knew why he was there. Despite the knives of jealousy and false accusation that had penetrated his heart, Joseph served with a good attitude. God didn't deliver him from prison, but God favored him while he was there. He was put in charge of all the other prisoners. There's something about being in prison together that can bond people closer than a brother. As always, Joseph took his responsibilities seriously. When two of the prisoners had dreams Joseph interpreted them. The baker's dream meant that within three days he would be hanged. The butler's dreams meant that in three days he would be restored to his esteemed position as Pharaoh's butler. Joseph implored the butler to mention him to Pharaoh. Then, true to the interpretation, the baker was hung and the butler was restored. How could the butler forget to mention Joseph? It seems inconceivable. Regardless, that's exactly what happened. One of the hardest tests is watching everyone else live their lives and fulfill their destinies while you sit on the sidelines, forgotten and ignored. Why was Joseph in prison? It was because of his brothers' jealousy, Potiphar's wife's false accusation, and the butler's forgetfulness. It wasn't until Pharaoh was distressed by his own dreams that the butler remembered Joseph. Joseph was instantly called before Pharaoh. He accurately interpreted Pharaoh's dreams and was promoted to a position of authority, second only to Pharaoh. In a moment, the effects of his brothers' jealousy, Potiphar's wife's false accusation, and the butler's forgetfulness were reversed. How Will You Use Authority? Authority can be used for great good or for great evil. Joseph was tested severely. His testing lasted for a long time. However, his position of authority in Egypt also lasted a long time. Joseph never misused the great authority that was entrusted to him. Adversity tests our ability to respond with self-control. To the Josephs of this generation who are wounded, bleeding and forgotten, you have endured years of testing and adversity. You have been pushed to the limits, yet somehow kept going. You have experienced the wounding of betrayal, jealousy, false accusation and neglect. Many of you have wounds that are so deep it seems like they will never heal. You have questioned whether you will ever be seen, ever be heard, or ever live the destiny that was prophesied. God has not forgotten you, not for a single moment. The appointed time will come. Adversity and testing will give way to fruitfulness and favor. The mysteries of suffering will bring forth purposes greater and more glorious than you ever imagined. You will arise with healing, vision and strategy. You will be God's answer for nations in the midst of their own crises.